"My child is happier, calmer, and more involved in everyday life"
A significant portion of the 500 free Athens Partnership Open Schools activities, offered in 20 neighborhoods, are targeted to disconnected residents. Creative activities for children with autism and pervasive developmental disorder (PDD) include sports, painting, music and storytelling, aimed at children ages 7 to 14. At the 9th Special Primary School in Goudi, these activities are facilitated by special instructors from the Epilogi social enterprise. We spoke with a newly formed group of 7 mothers from different neighborhoods in Athens, who bring their children each week to Goudi. Here are some words they shared over coffee in a neighboring café about their experiences. AP: What brought you to Athens Open Schools? Katerina: Before my experience at Athens Open Schools, I had not come in contact with other parents of children with autism, despite the fact that my child attends a special school. As a result, I usually felt lonely and marginalized associating with other parents. Through my son's involvement in this activity, I have now met parents who face the same daily challenges as I do and, most importantly, my child is happier, calmer, and more involved in everyday life. Anna: There are not many organizations that offer free activities for children with special needs, and it is difficult for parents to always pay for something that should be provided free of charge, such as Athens Open Schools. It is not easy for me to travel here from home, which is in another part of Athens, but honestly, this is of no importance, when I see my child enjoying himself, socializing and making new friends. AP: What has your child gained from this activity? Maralenda: My son is more tranquil, his obsessions and stereotypical behaviours have receded. He functions better within a team and has more appetite for play. As for myself, I also came out of my shell, because I had closed up a lot; I have met other moms and started socializing again. Violetta: It is the third year that my child has taken part in this program and during that time he has opened up socially- he is trying new activities, such as exercise. I have also met other people and made new friends. Christina: Through this activity, my son now expresses himself more with me as well as other people. In addition, I have gained some free time for myself. AP: What else has the Athens Open Schools program brought to the neighborhood? Aspasia: Because the school remains open late, there is a guard and the courtyard is filled with people, it’s safer for all of us walk around the neighborhood. To support these families through Open Schools and other AP public programs, please donate now. Two and a half years after the start of the Designed for Better Learning program at the City of Athens, how enduring is the change in culture and attitudes for the 4,000 children in the 24 pubic schools that were transformed through this Athens Partnership program? Are new students faced with a changed experience or is the impact of the DBL program gradually fading away? 5 City of Athens nursery homes that share a common courtyard were renovated through the Designed for Better Learning program. Starting in the Spring of 2016, the Designed for Better Learning (DBL) program, supported through an exclusive grant by the Stavros Niarchos Foundation (SNF), transformed 24 schools, equal to 5% of all public schools overseen by the City of Athens, using a groundbreaking approach that combines education with architecture and actively involves teachers, students and parents in the process and maintenance. The result was not just much better looking schools, but also a cultural shift which came from a significant increase in the sense of a personal connection and engagement with the school. The Athens Partnership coordinated the program for the City of Athens, while the Transformable Intelligent Environments Lab (TUC TIE Lab) of the Technical University of Crete was responsible for the scientific planning and implementation. Stelios Vassilakis, Director of Programs & Strategic Initiatives, Lenia Vlavianou, Group Director of Communications, Alexia Vasilikou, Communications Officer and Aristi Stathakopoulou, Program Officer at the Stavros Niarchos Foundation, met with the principals of all the kindergartens, who shared their first-hand experience of the changes brought about by Designed for Better Learning. Popi Baskeki, the Principal of one of the preschools, speaks enthusiastically about the change that happened through the Designed for Better Learning program. 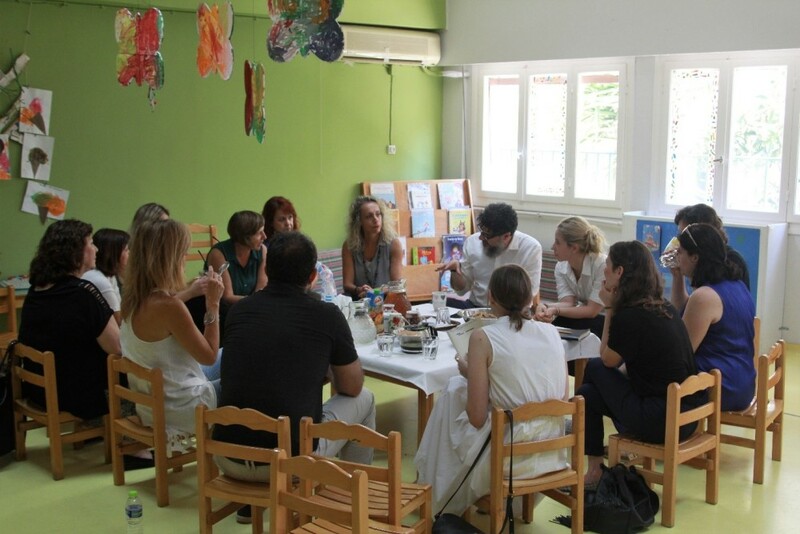 Last July, we welcomed the Stavros Niarchos Foundation for a visit to the pre-schools that were revamped using this innovative method. The changes included a redesigned common courtyard for all, upgraded internal spaces, as well as new educational games and constructions for the 500 children and 60 educators at the 5 Nursery Schools of the Municipality of Athens, at Christodoulakio, on Kifissias Avenue. After a tour, we sat down with the same team of educators who took part in planning the changes at the very start of the program. The nursery school principals recalled the planning stage of the program, when DBL architects and researchers sat together with educators to discuss how they envisioned a more functional, education friendly school environment. The greatest challenge to overcome for the 5 nursery schools was that they were housed in adjacent buildings that shared a common school yard that was separated by gates, fences and walls. These boundaries divided up the space and also created visual barriers between the educators and the children. 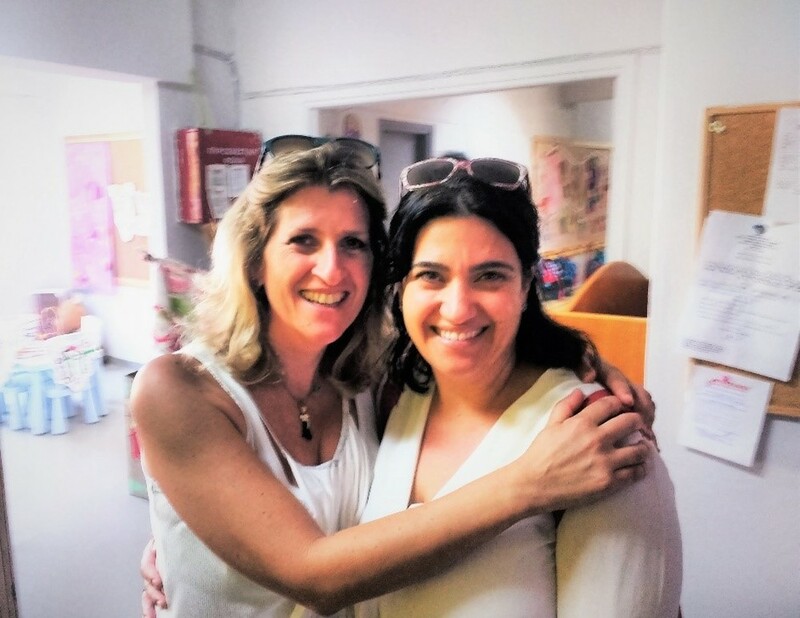 Vaso Leneti, principal of one of the nursery schools (left) with Marianthi Liapi, DBL project manager from the TUC TIE Lab of the Technical University of Crete. “When we first heard about the program, we were very enthusiastic and hardly believed all these changes were possible! The project team, architects and researchers, were asking us ‘what are your wishes and dreams for this school?’” says Popi Basdeki, the Principal at one of the five nursery schools. The first stage of Designed for Better Learning focused on large-scale architectural interventions: unifying the separated playground, creating more efficient interior layouts, upgrading facilities such as the bathrooms. And change did not stop here: through the “Educational Pla(y)ces” structures, the DBL team worked with students and teachers in each of the schools to enrich learning spaces and incorporate educational equipment. One of the new educational tools designed by the DBL team together with educators, created at the City of Athens Maker Space, also a part of the DBL program. 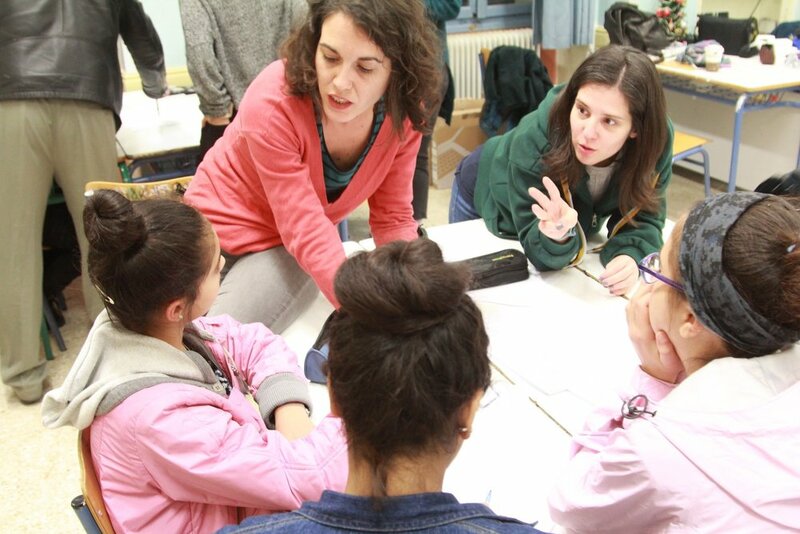 “Through this program, we came to put to use concepts that we previously talked about theoretically, like ‘experiential learning’ and ‘participatory design’, but could never really enforce in our environment”, says Maria Vlachou, Principal of the Christodoulakio complex. The testimonials make it clear that the transformation had a deep impact on school culture. Children now play in a stimulating environment that supports development and allows them to take more risks while exploring their environment. The tour showed first-hand what data already indicated to us – which is that 2.5 years later the transformation has been maintained and supported by these schools. Although construction crews transformed the architectural environment, it was the DBL methodology which went below the surface and engaged teachers, parents and the children in a way that made them stakeholders and guardians. How do you program a robot battle? How can you use a 3D printer to design and produce a chess piece or a key ring? What is it like to visit a space station through the use of virtual reality? These and many more digital applications are now available in the new City of Athens’ Maker Space - free for students of all ages in Athens to explore. The Maker Space is the first municipal fabrication lab in Greece, equipped with machinery and digital tools for designing, printing, and manufacturing (it includes laser cutters, 3D printers, CNC router, vinyl cutter, etc.). Through new educational programs, this year more than 1150 children in Athens have already explored the Maker Space, learning about applied digital technologies through hands-on experiments. 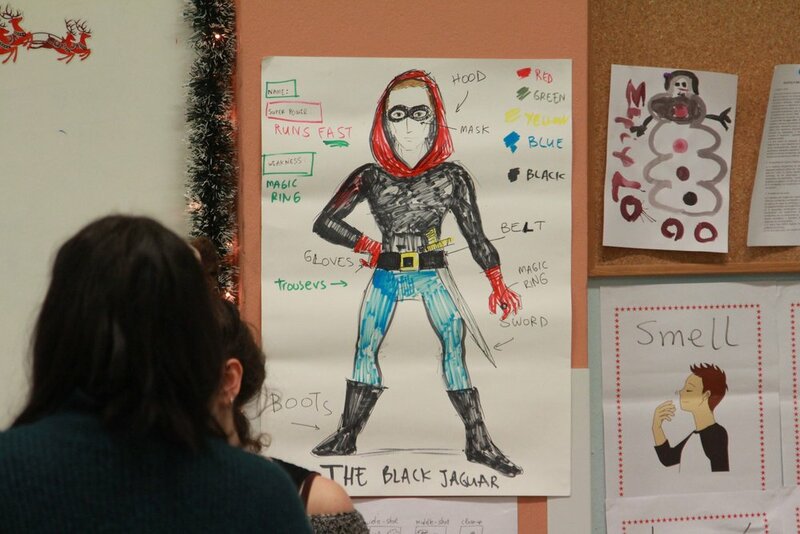 More than 220 teachers have also taken part in workshops – designed to help them create new tools to enhance school learning and introduce creative play in the classroom. “In spite of all its technological wonder, the Maker Space is not a just a showroom where you can admire technological applications. Children and adults are invited here to become creators, taking digital technology into their own hands,” says Alexandros Kambouroglou, Executive Director of the Athens Partnership, who coordinate the Maker Space program. The Maker Space is an integral part of the City of Athens’ “Designed for Better Learning” program, which has already upgraded 24 public schools in Athens through an innovative educational approach. “Designed for Better Learning” - funded by an exclusive grant from the Stavros Niarchos Foundation - is being implemented in collaboration with the Transformable Intelligent Environments Lab of the Technical University of Crete and coordinated by the Athens Partnership. The Maker Space is part of the third implementation phase of the “Designed for Better Learning” educational program. In its first two phases, architectural interventions were made in 24 schools in the municipality of Athens, and 87 "Educational Pla(y)ces" - educational projects enriching the learning tools and the school environment - were added with the active participation of pupils and teachers. The City of Athens’ “Designed for Better Learning” program won the Golden Prize in the “Best Learning Experience” category at the Educational Leaders Awards 2018, the nationwide prize awarding private and public bodies for best practices in education. This pioneering program, designed by the TUC TIE Lab of the Technical University of Crete, was launched by the Athens Partnership with an exclusive grant from the Stavros Niarchos Foundation. The prize was received by Athens Mayor, Mr. Georgios Kaminis, who stated that "with Designed for Better Learning we have transformed 24 schools, changing the relationship of children and teachers to their school. We created attractive learning conditions and revived the educational process itself. I feel very proud as a mayor when I hear parents telling me that their children do not want to leave school." The program renovates public schools in dire need of repair—with the ultimate goal of improving learning and teaching, and enhancing community engagement. Twenty-four schools, kindergartens, primary schools and high schools have been transformed and continue to be upgraded, with the active involvement of researchers, architects, teachers, students and parents. More than 4,000 public school students and teachers in the Municipality of Athens have been directly impacted by Designed for Better Learning initiative. The first stage of Designed for Better Learning focused on large-scale architectural interventions in school buildings: more efficient interior layouts, upgraded facilities such as bathroooms, unification of previously separated or obstructed spaces, new spaces for students to play and socialize during breaks. These changes were intended both to solve operational problems and provide a fresh, new image of the school as a creative learning space, in vibrant child-friendly colors. 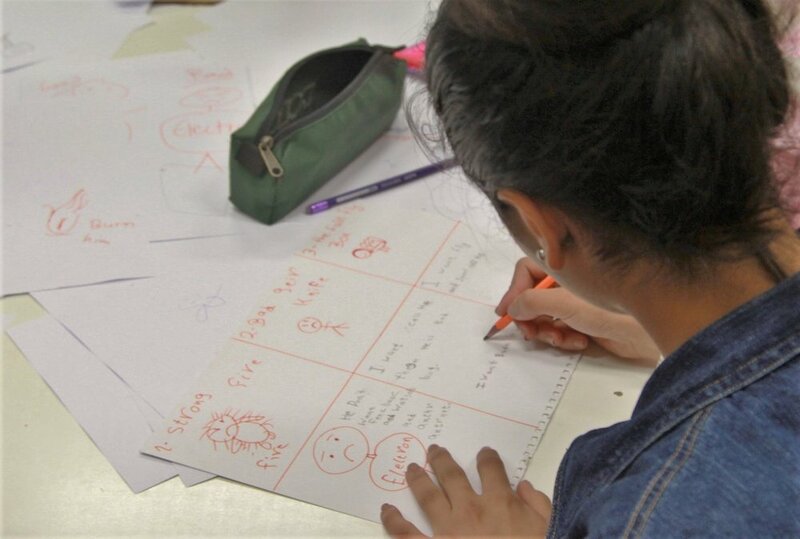 Through “Educational Playces,” a participatory process led by architects and researchers from the Technical University of Crete, Designed for Better Learning also achieved the goal of activating and empowering the school community. An “Educational Playces” team worked with students and teachers in each of the schools to enrich learning spaces and incorporate educational equipment to enhance learning. From gardening pallets on the roof of a school that had no plants, to circuits to understand the properties of electricity, to a “tree of emotions” that encouraged children to seek out and express their mood, educators placed the process in the hands of students to direct these efforts. Key to success was participative design, constant communication and direct access to a state-of-the-art “Maker Space” lab, equipped with machinery and digital design, printing and manufacturing tools (laser printers, 3D printers, CNC routers, vinyl cutters). The Maker Space workshop in Serafio, Athens, also founded and operated with a grant from the Stavros Niarchos Foundation and coordinated by the Athens Partnership, continues to support the Designed for Better Learning Program. Teachers participate in training workshops on the use of laboratory equipment and the possibilities they can offer in learning. Students are able to work with modern technological applications, exploring STEM (Science, Technology, Mechanics and Mathematics) educational programs.